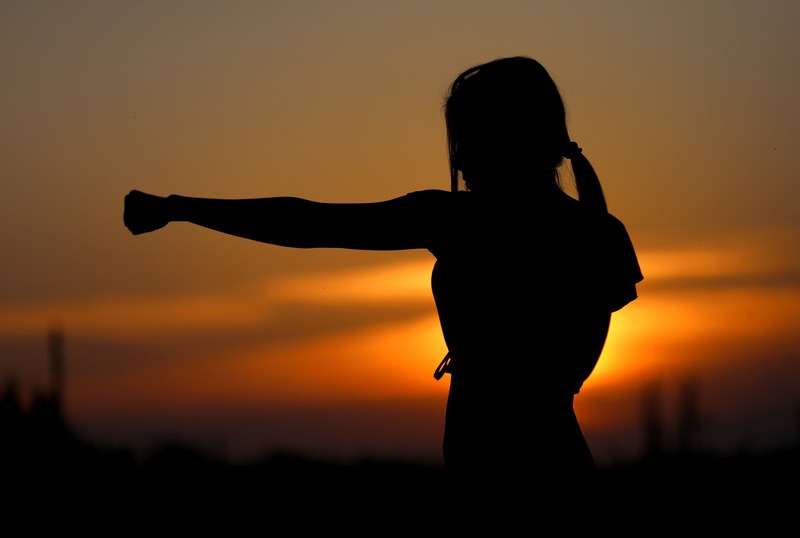 From the increasingly young age at which girls are made to feel self-conscious about their bodies, to concerns about risks of assault, martial arts offers a solution to many of the problems young girls face. You may believe that your child is still too young to have to worry about any of these issues; unfortunately, you might be surprised. However, the good news is, she is also not too young to begin training martial arts. Although not a panacea for every gender-based problem girls and young women experience, martial arts can help equip them with some of the tools they will need in order to be prepared to face these challenges. 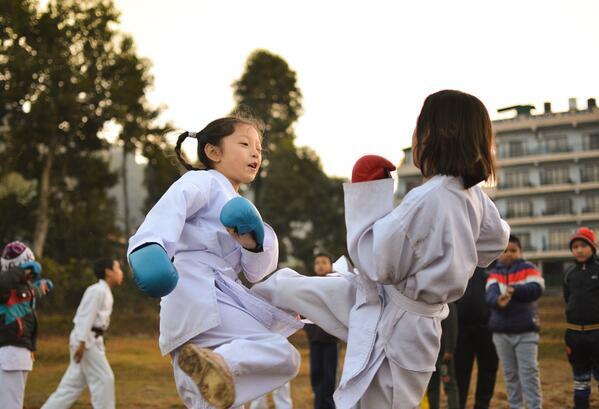 Here are six reasons why you should enroll your daughter in martial arts training today. If you’re wondering how to empower a girl to love herself and stand up to bullies, you’d be hard-pressed to find a better option than a martial arts class. From her first time on the mat, a young student is taught that she is a valuable person and worthy of respect. Martial arts will also improve her body image. As she learns more martial arts skills, she’ll see her body less in terms of what it looks like and more in terms of what it can do. She’ll realize that since her body is capable of doing incredible things, it must be pretty incredible itself. The sense of self-worth and self-respect she will build will fortify her against bullying. The unfortunate reality of the world is that women face a significantly higher risk of assault. Many martial arts focus on moves designed to work even when faced with a larger opponent, which is especially useful for self-defense, as many attackers are larger than their chosen victims. 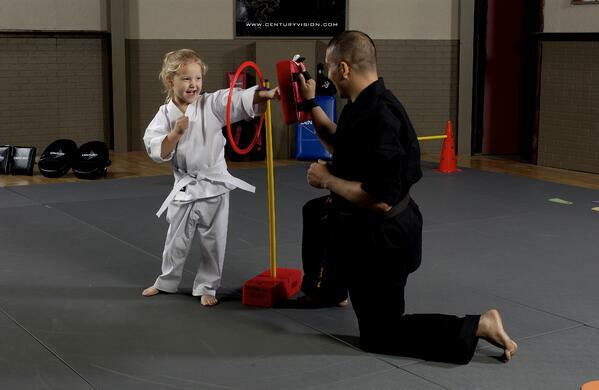 Again, don’t think that because your child is small that she won’t be able to learn self-defense. Even a child can learn the right way to twist their body to break the hold of someone grabbing them, or how to execute a simple strike to the eyes or groin. Check out this story about an 8-year-old girl who used kung fu to defend herself and her little brother from a kidnapper. Some studies, set in academic schools, have shown that coed interaction helps both girls and boys build valuable socialization skills. However, the same study also realized that by the time children reach grade-school age, they start to divide themselves: they sit with their own gender at lunch; they play in “girls only” or “boys only” groups on the playground; most of their friends are the same gender as them. Therefore, many girls miss out on the chance to socialize with boys, and vice-versa. Most youth sports are not coed; however, martial arts classes do not divide participants by gender. It is true that martial arts is still a slightly male-dominated activity. However, more and more girls and women are joining. Your daughter will benefit from interacting with boys in an environment where mutual respect is the (enforced) norm. And, hey, just about half of the population is male – your daughter might as well learn how to interact with that half sooner rather than later! Most martial arts use a belt ranking system to indicate a student’s level of training. In order to earn a new color of belt, a student must demonstrate that she has become skilled enough to surpass her current belt level. Sometimes, a new belt is awarded at the instructor’s discretion. Other times, students must pass a test to prove they are ready. Either way, getting a new belt is a big deal in martial arts and is celebrated. When your daughter earns her first new belt, she’ll feel a huge sense of pride and accomplishment at having done something remarkable. She will realize that with hard work, time and dedication, there is nothing she can’t do. While young boys are regularly encouraged to embrace their competitive side, this is too often not viewed as “feminine” and girls are discouraged from pursuing competition with the same zeal. With martial arts, young girls can compete and apply the skills they learned in a nurturing setting where investing in sporting accomplishment is not discouraged. Also, in many athletic activities, especially as children age, males claim the upper hand: they are on average larger and have more muscle than females. However, many martial arts competitions, such as karate forms (called kata), are based on how well you can perform a technique. If she chooses to compete in these contests, she will be able to get compete against her male peers without her gender being seen as a disadvantage – something she should get used to. For stuff, like, you know, job applications. Promotions. Kind of important stuff. Simply Put: Kids Love Martial Arts! Loving your recreational activities may not seem like an essential life skill, but with young children (or anyone! ), there’s no point in having an effective program if it’s so bland that the students get bored after one lesson and leave. When your child gets out on the mats for her first martial arts class and her face lights up, you know you’ve got a student who is ready to learn! Although there is some value in starting young, there’s no wrong age for your daughter to develop an interest in martial arts! From girls just preparing for a first day of school to young women getting ready to head off to college, training in martial arts is a tremendous opportunity with vital skills to teach to every student. If you are raising empowered daughters and are looking for a new activity that is as effective as it is entertaining, bring your daughters to try a martial arts class today.